We have the largest fleet of rent-ready Warehouse forklifts & Scissor lifts for rent in Houston. All forklifts that we rent in Houston are well maintained. 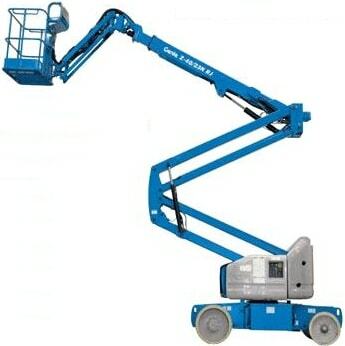 Here at Discount Lift Rentals we understand the importance of reliable equipment to get the job done right as most of our customers are construction contractors and distribution warehouses who work on a tight schedule where reliable and hassle-free Equipment is very important to get the job done right and on time. 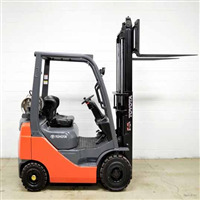 Our Forklift Rental fleet includes all kinds of Forklifts with solid pneumatic tires for outdoor use & cushion tires for indoor warehouse use from 5000 lbs, 6000lbs. 10,000lbs,15,000lbs to 36,000lbs capacity. Scissor Lifts that are 19ft, 26ft & 32 ft high, Boom lifts and Telehandler Forklifts for all material handling needs. Our warehouse forklifts range from 3000lbs to 36,000 lbs and Scissor lifts from 19ft high to 36ft high. 5000 lbs Forklifts & 26ft high Scissor lift from our rental fleet enjoys the highest demand in Houston area. We are a one-stop-shop for all your material handling needs. Apart from a rental fleet of forklifts we also sell reconditioned used forklifts and offer maintenance services on contract bases to warehouses and plants. Since we stock Forklift parts for Toyota, Komatsu, Mitsubishi, TCM and Caterpillar forklifts we can cover your maintanence needs expeditiously to ensure maximum uptime of your Forklift so you can focus on the job at hand instead of worrying about your Forklift. We carry rebuild kits and Engine components for Toyota, Nissan, Caterpillar & Mitsubishi forklifts. Rebuilt kits for Nissan K21, K25 & Toyota 4Y Engines that fit most Caterpillar, Komatsu, Nissan, Toyota and Mitsubishi Forklifts are always in stock. 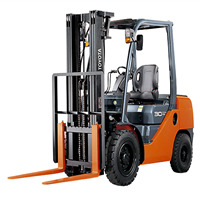 Most Toyota Forklifts from 1995-2013 use Toyota 4Y Engine. Apart from above Engine models for Forklifts we also stock parts for other Forklift Engines like Toyota 1DZ, 1Z, & Nissan H20. We focus on customer service so our customers can stay productive and focus on their business. Our Forklift Rental rates are the lowest in Houston as we have three inter-related businesses under one roof so we pass on the savings to our customers. Our Rental rate for a 5000lbs warehouse Forklift is approx $500/ week for rental in Houston and surrounding areas. The biggest advantage of renting is that it is 100% tax deductable. Purchase of Forklifts or Scissor lifts or any kind of Aerial lift or boom lift platforms requires great deal of capital and adversely affects cash flow. - Forklift Maintenance is included and there are no hidden costs. - No Capital investment. 100% Tax deductible and good for cash flow ! Therefore we urge our customers to give us an opportunity to serve your Forklift & Aerial lift needs. We Rent on daily or monthly basis within Houston and surrounding areas in Texas. We carry Toyota, Komatsu & Catepillar warehouse forklifts and Genie Scissor lifts, Articulating boom lifts and Telescopic forklifts for rent. 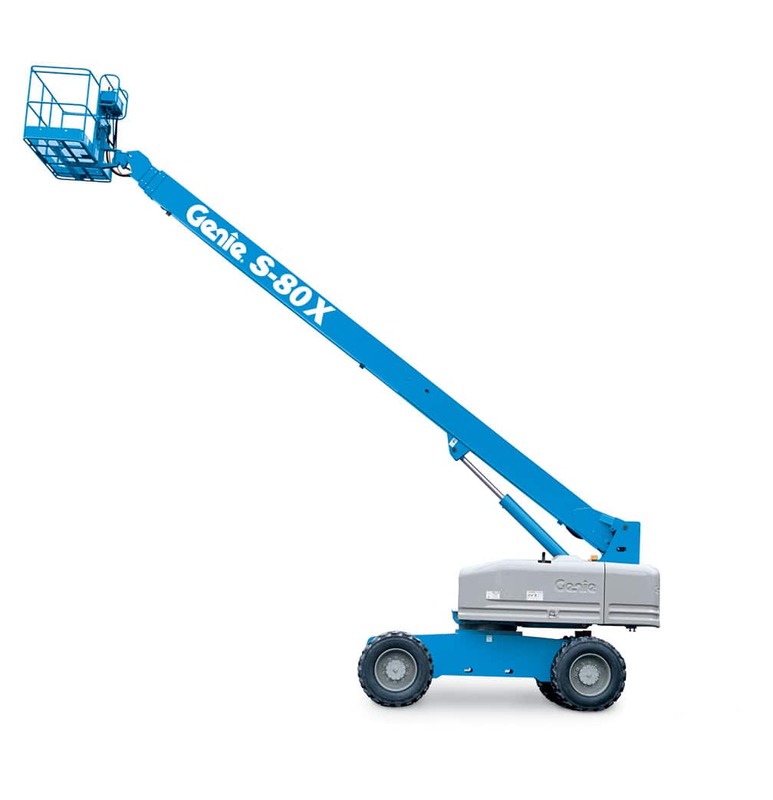 What kind of lift equipment do we rent in Houston area ? We rent Warehouse forklifts ranging from 5000lbs to 36,000lbs & Scissor lifts that lift 19ft high to 36ft high. What areas in Houston do we have our Forklifts & Scissor lifts available for rent ? We Rent Forklifts within Houston and neighbouring areas. We offer shipping to Cental Houston ( Zip codes: 77027, 77019, 77007,77027, 77006, 77098,77006, 77027, 77098) Downtown Houston ( Zip codes: 77002, 77003, 77004, 77018, 77008, 77009 ), Memorial ( 77042, 77024, 77063, 77043 ) , Houston Southwest (77401, 77030, 77005 ) & Central West Houston (77057, 77056 ), Sugarland, Pearland, Humble, Woodlands, Bellaire, Beaumont & Cypress. Please see Houston Zip code chart below for areas we service. 77002, 77003, 77004, 77005, 77006, 77006, 77007, 77008, 77009, 77010, 77011, 77012, 77013, 77014, 77015, 77016, 77017, 77018, 77019, 77020, 77021, 77022, 77023, 77024, 77025, 77026, 77027, 77028, 77029, 77030, 77031. 77032, 77033, 77034, 77035, 77036, 77037, 77038, 77039, 77040, 77041, 77042, 77043, 77044, 77045, 77046, 77047, 77048, 77049, 77050, 77051, 77053, 77054, 77055, 77056, 77057, 77058, 77059, 77060, 77061, 77062, 77063, 77064, 77065, 77066, 77067, 77068, 77069, 77070, 77071, 77072, 77073, 77074, 77075, 77076, 77077, 77078, 77079, 77080, 77081, 77082, 77083, 77084, 77085, 77086, 77087, 77088, 77089, 77090, 77091, 77092, 77093, 77094, 77095, 77096, 77098, 77099, 77201, 77336, 77338, 77339, 77345, 77346, 77357, 77365, 77373, 77375, 77377, 77379, 77386, 77388, 77396, 77401, 77406, 77407, 77429, 77433, 77447, 77449, 77450, 77477, 77478, 77489, 77493, 77494, 77498, 77503, 77504, 77506, 77520, 77530, 77532, 77536, 77546, 77547, 77571, 77587, 77598. Do we rent forklifts & Scissor lifts on long term basis ? Yes we rent our Warehouse Forklifts & Scissor lifts on weekly, monthly & yearly basis. Why Discount lift Rentals offers cheapest rental rates for long term rental in Houston area ? We have multiple interrelated businesses under one roof. We rebuild diesel and gasoline engines, we offer forklift maintenance service & rent lift equipment. This makes it possible for us to offer cheaper rental rates in Houston as it gives us an edge over our competition. What kind or tires are suited for warehouse forklift for outdoor use ? We recommend renting forklift with pneumatic tires if you plan on using it outdoors on the gravel as solid tires offer greater stability. Which is the best suited Scissor lift for paint jobs & roofing purpose where the ceiling is around 26 ft ? We recommend renting our JLG 2632 Scissor lift which goes 26ft high and is 32 inches wide which is enough for two men to stand and work on the job. Need a Scissor lift for your next paint job ? We have the largest selection of Scissor lifts. Our most popular Scissor lift is JLG 2630 which lifts 26ft high which is ideal and versatile for paint jobs that requires greater flexibility where ceilings are high. 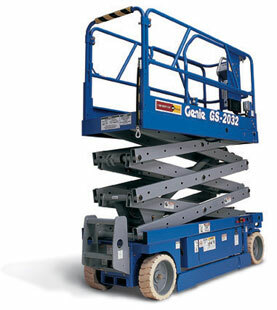 Our rental rates for Scissor lifts in Houston area are the cheapest. Most large Corporations prefer renting from us because of our outstanding customer service, availability and condition of equipment. 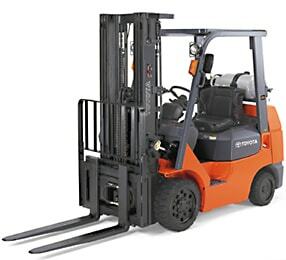 Most popular forklifts we rent are 5000lbs & 10,000lbs forklifts. Cheapest weekly & monthly Rental rates for Forklifts & Scissor Lifts in Houston. We have the best quality Forklifts and Scissor lifts for rent in Houston and our weekly rental rates are the cheapest. Please call for more information. Our Scissor lifts for rent have non marking solid tires in perfect condition to get the job done without any downtime and our forklifts are well maintained. Most popular Forklifts we rent in Houston area. 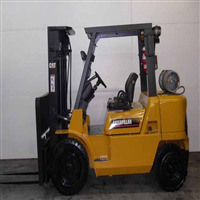 5000 lbs & 10,000 lbs forklift is our most porpular forklift that is on rent most of the time. Our 10,000 lbs forklifts are popular for industrial use for tough jobs. Our forklifts are the best combination of quality and price. We know that the main purporse of our forklifts on rent is to help our customers make money, save on capital investment by improving cash flow so they can focus on their bottomline. As Houston looks past hurricane Harvey, Discount Lift Rentals is geared towards providing relief to businesses across Houston area. We have added additional rent-ready Forklifts into our fleet in order to serve lifting needs of Houston businesses. Our company rented three 5000 lbs forklifts from them for a month. Their forklift arrived on time in perfect condition. We will always recommend them ! We rent different sizes of forklifts for our manufacturing plant every month from them. We don't have to worry about maintenance at all. Rental rates are cheapest in Texas. They have the best forklifts in Houston ! We are construction contractors, we rent boom lifts and rough terrain telescopic lifts from them. Their equipment offer 100 % up time. We rent 10,000lbs forklifts from them on regular basis. Their forklifts are newer and hassle-free ! © 2016 Discount Lift Rentals. All Rights Reserved.